Over the summer, a small group of volunteers came together at Brickyard Creek to plant a Monarch Waystation; what they ended up planting was an environmental legacy. Monarchs are not able to survive the cold winters of most of the United States, so the butterflies migrate south and west each autumn to escape the cold weather. Some of us Brickyard Creek residents can relate to that! Unfortunately, a loss of habitat throughout the migration routes threatens this natural wonder. Milkweed and nectar sources are declining due to the development and the widespread use of herbicides in croplands, pastures, and roadsides. It is estimated that 90% of all milkweed/monarch habitats occur within the agricultural landscape, so farm practices have a substantial influence on monarch populations. Without a major effort to restore milkweed, the monarch population will decline to extremely low levels. People are coming together to help monarchs by creating “Monarch Waystations” (monarch habitats) in home gardens, at schools, businesses, parks, nature centers, along roadsides, and on other unused plots of land to help offset the loss of milkweed and nectar sources. Over the summer, the Forest and Watershed Committee coordinated a collective of Boreal Forest Citizens to help plant a Monarch Waystation in the Brickyard Creek clearing. What happened next was inspiring. Committee members Jeffery Garrett and Dale Klubertanz invited our girls to help plant a few trees. As they worked together, they explained the importance of the particular type of trees and why a Boreal Forest is so special. I watched the light in the girls’ eyes as they listened intently. A warm sense of gratitude filled my chest. Here at Brickyard Creek, we are surrounded by an entire community (including these two generous men) who embrace and share a sense of wonder. It was an honor to watch Jeff and Dale grow a sense of love and obligation for the environment in our two girls. Together they’ve sent a legacy of responsible stewardship out into the world. PS: A big thank you to our canine volunteer Hattie, who kept our spirits high despite the heat and handed out Snoopy-kisses to all who wanted them. Spring migration is officially underway! Mass monarch departure from Mexico occurred mid-March and arrivals were reported across Texas and beyond. 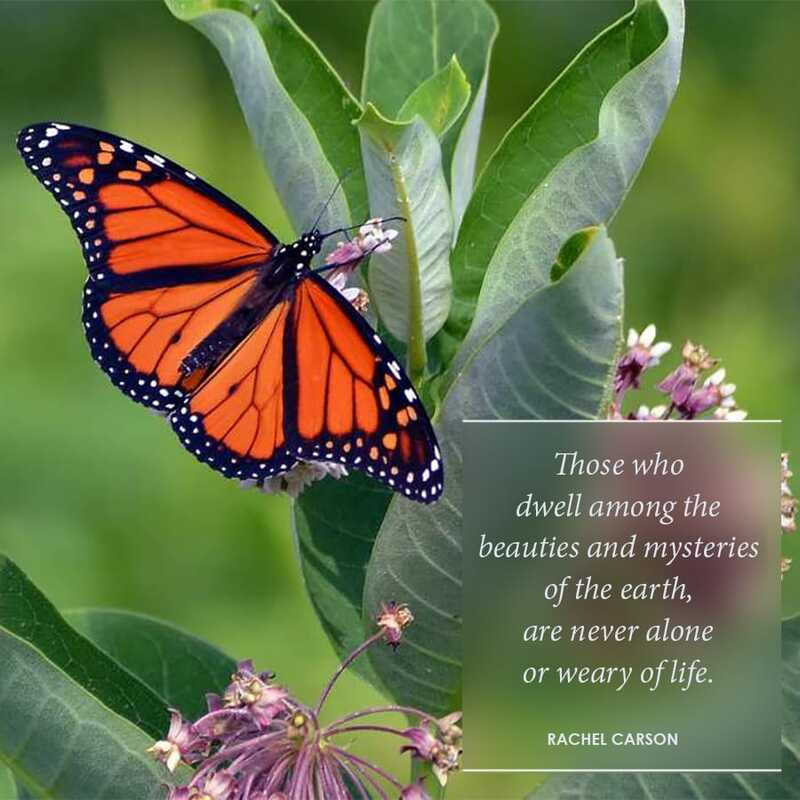 We are honored to host the “Rachel Carson Waystation” here at Brickyard Creek. Property Manager, Jeffery Garrett, had our community’s butterfly habitat officially certified through Monarch Watch. We look forward to watching it bloom this spring and bring moments of wonder for years to come. This photo collection is being shared with you by Boreal Forest Citizen and Brickyard Creek community member, Zina Harrington. You might find Zina and her husband (Shad) with their two girls skipping rocks at the beach, roaming the community trails in Wellies or eating pot pies at The Fat Radish in downtown Bayfield. This project was coordinated by the Forest and Watershed Committee. 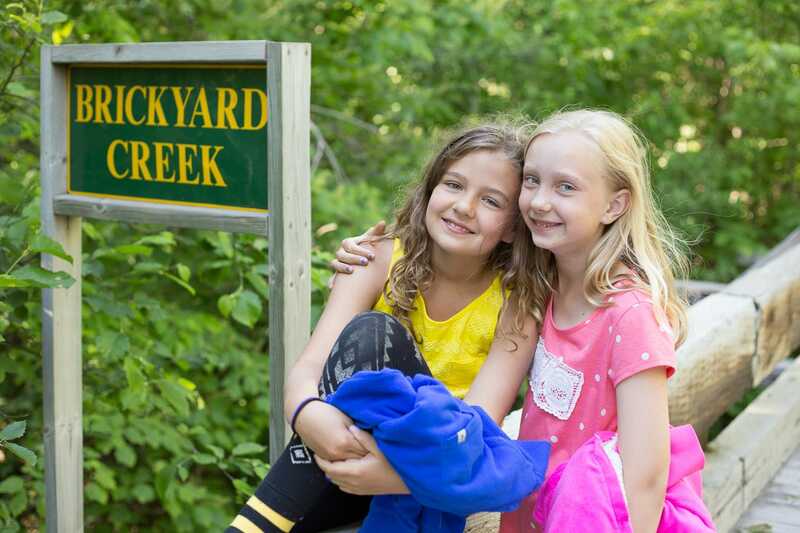 Brickyard Creek is a special place to each one of us. Members of this important committee have a multiple role and responsibility – to preserve, restore and enhance the common grounds of the BYC Community. As an association, we have collectively committed to become environmental stewards and practice a philosophy of enhancing and sustaining the uniqueness of this special place. 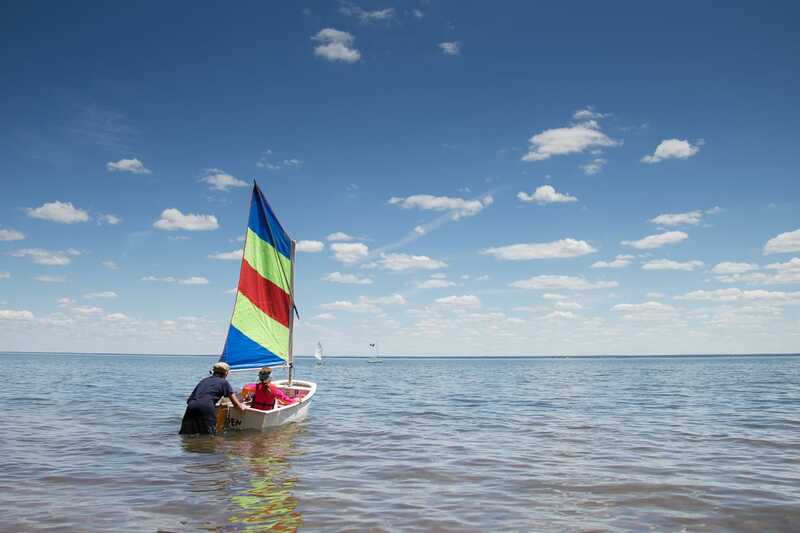 The Forest and Watershed Committee continually strives to be the foundation for stewardship here at BYC and in partnership with the larger community of Bayfield. Big thanks to all of our Forest and Watershed Committee members and volunteers!